Women ON Point is dedicated to executive leadership for women. An executive coaching consultancy created to advance women as leaders, the organization provides business coaching and consulting services for professional women at all levels: from C-suite and senior-level executives, to emerging leaders and those leading teams. 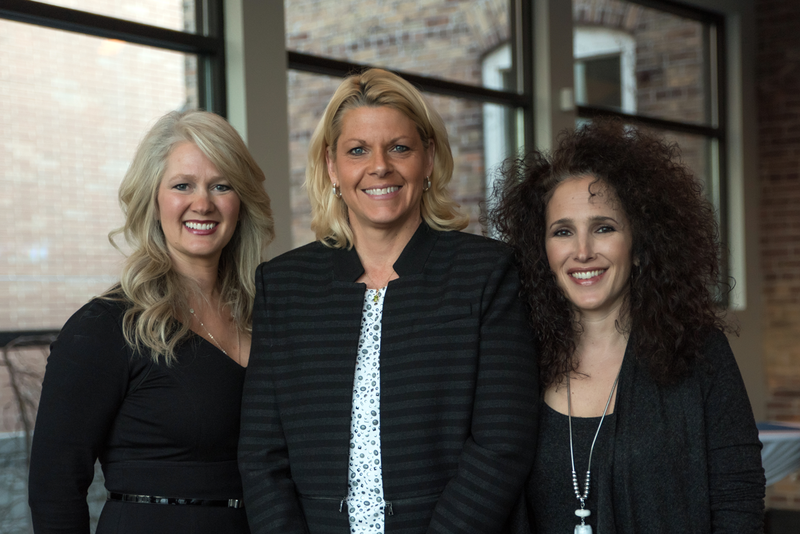 Women ON Point is the brainchild, passion project and collaborative effort of partners Pam Borton, Aimee Cohen and Sara Lebens, who have a combined 65+ years of successful coaching experience. They recognize the staggering statistics of how far women lag behind in leadership positions, and they are dedicated to changing those numbers. Their mission is to empower women and set them up for success through leadership development consulting, career coaching services, and business coaching. Pam Borton, the winningest coach in Minnesota women’s basketball history, is now a top-performing ICF senior executive coach, keynote speaker and author of “ON Point: A Coach’s Game Plan for Life, Leadership, and Performing with Grace Under Fire.” She has dedicated her life to taking individuals, teams and organizations to the next level. With nearly three decades of top-level Division I coaching experience under her belt, she has successfully navigated the pressure and expectations of a highly visible position in an ultra-competitive environment. Pam now brings that unique background to C-suite, senior-level leaders and high-potential clients. President & CEO, Woman UP! Sara Lebens is an executive coach and keynote speaker who led global Human Resources for Hyatt Hotels for more than 20 years. Today, Sara brings her dynamic track record of success to her role as founder and president of Lebens Advisory Group, guiding companies in creating top performing workplace cultures. Her work has landed clients on Fortune’s “100 Best Companies to Work For” list, and significantly improved rankings for her international clients. Sara is an Outstanding Mentor award winner, a graduate of CoachU’s ICF accredited program, and a certified Situational Leadership trainer.